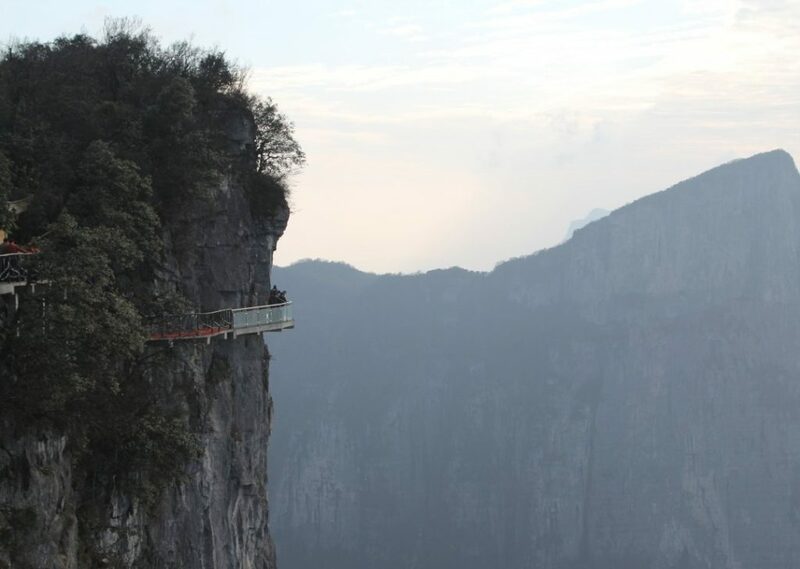 This roundup will make your palms sweat. 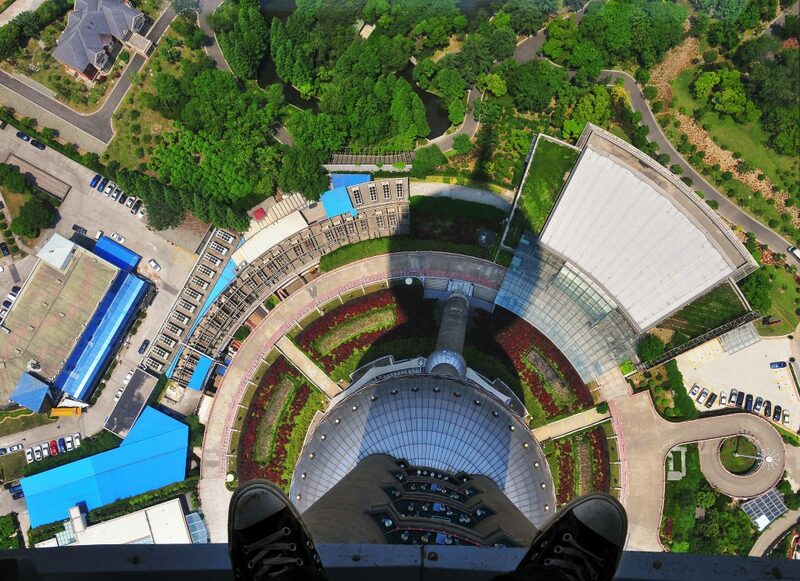 Well, unless of course you’re one of those maniacs who climb skyscrapers without safety equipment for fun. 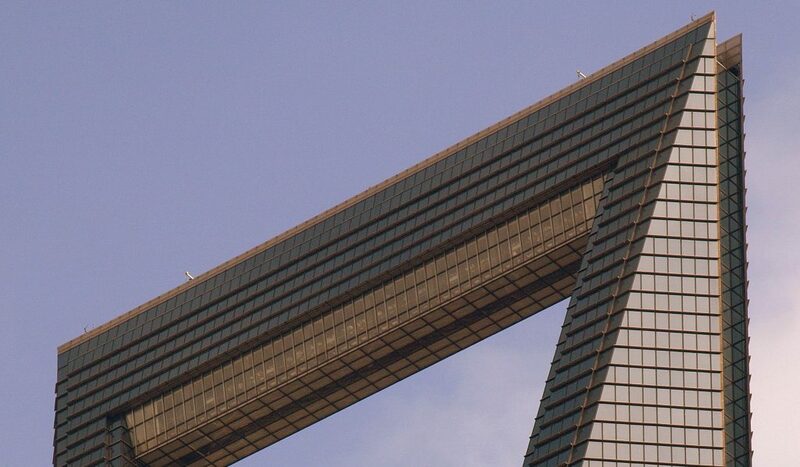 Then you’ll probably find the images pretty pedestrian. 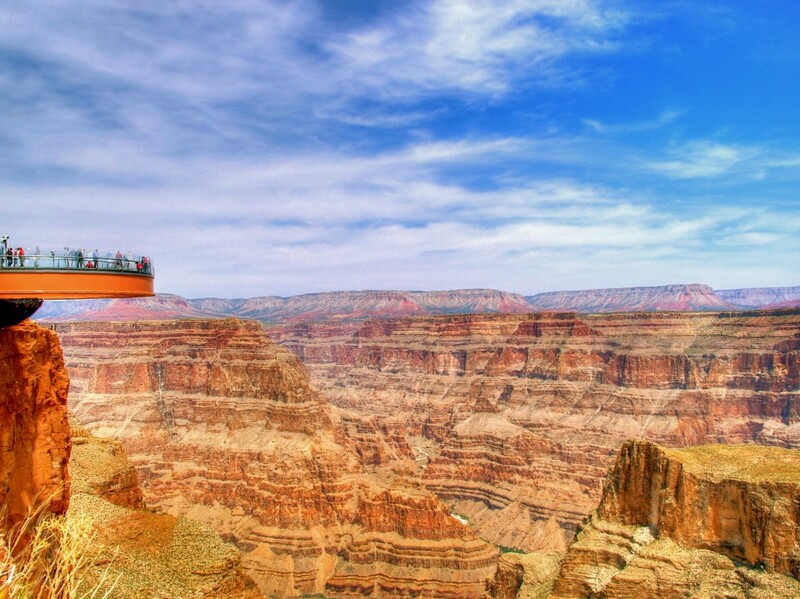 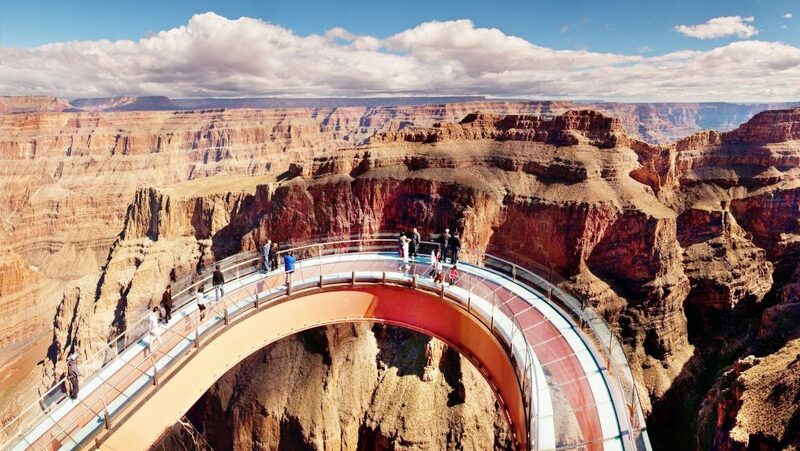 Commissioned and owned by the Hualapai Tribe, the glass and steel Grand Canyon Skywalk is strong enough to support the weight of 71 Boeing 747 airplanes and withstand an 8.0 magnitude earthquake within 50 miles. 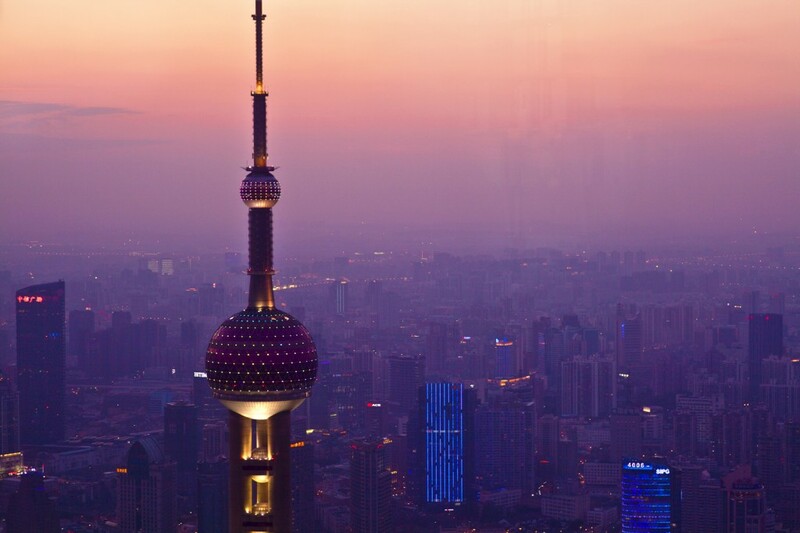 The Oriental Pearl Radio and TV Tower has fifteen observation levels, the highest of which is the “Space Module,” tucked away in the tower’s smaller viewing sphere. 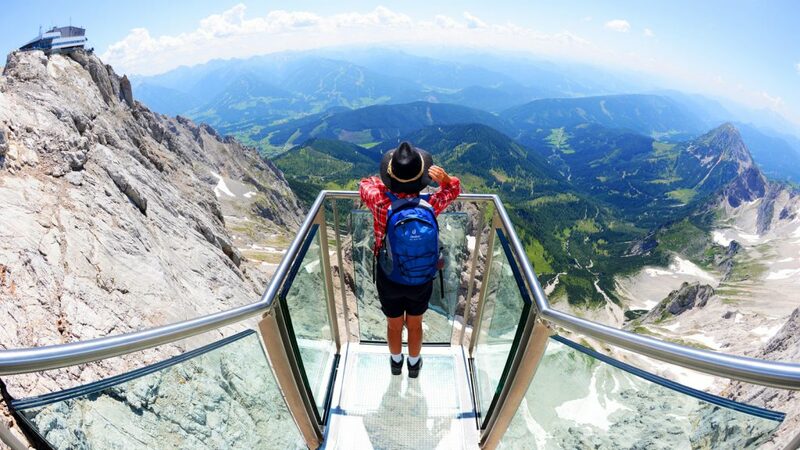 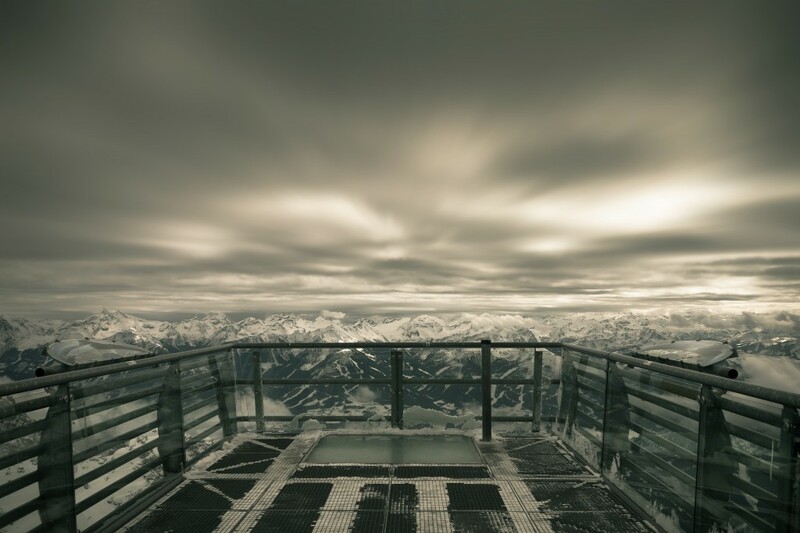 This 820-foot long, partial glass-bottom skywalk is perched atop Austria’s Dachstein glacier ski area, 8,860 feet above sea level and 1,312 feet above the closest group of jagged rocks. 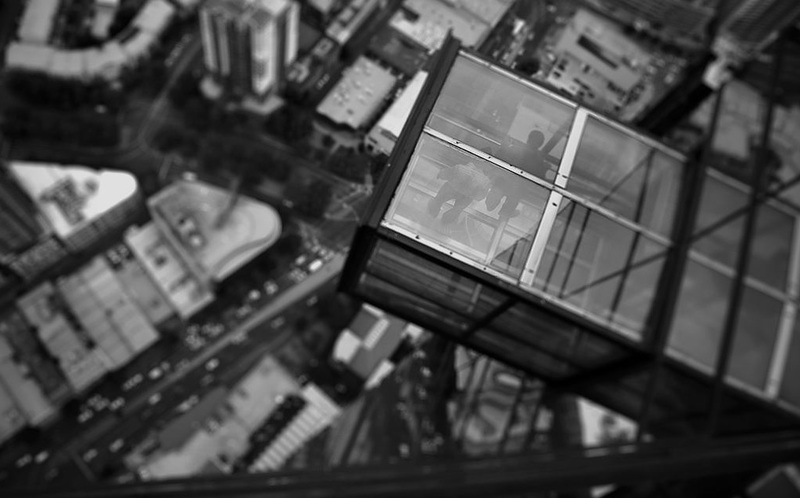 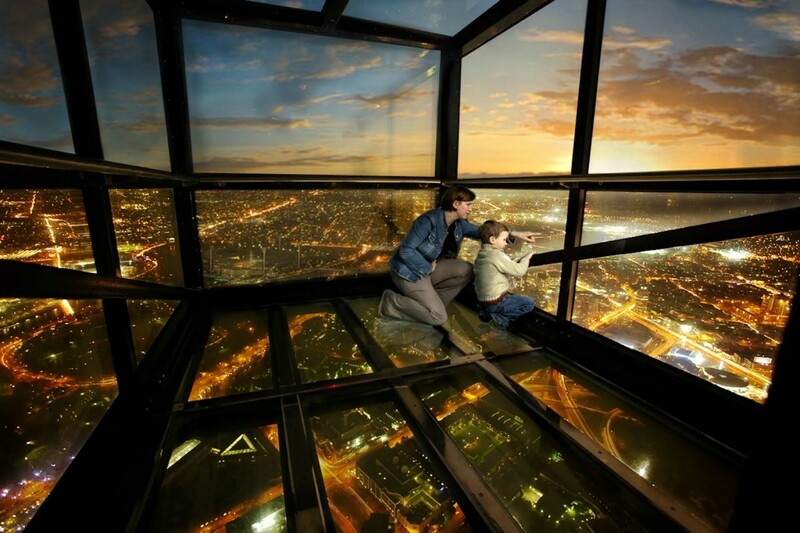 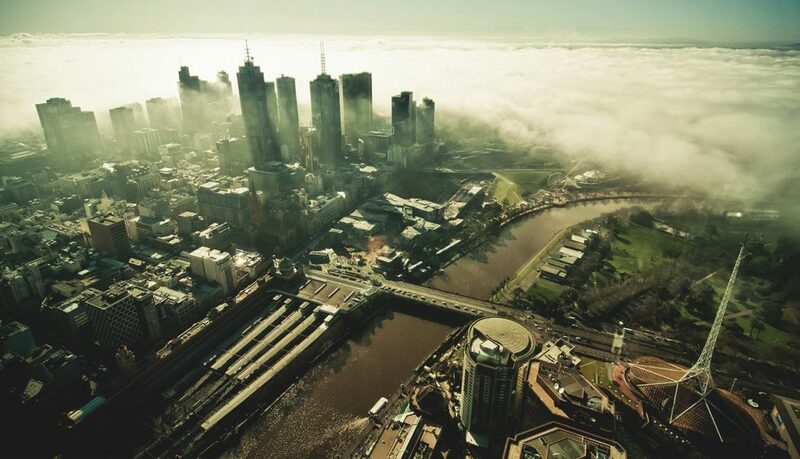 The Eureka Skydeck occupies the entire 88th floor of Melbourne’s 91-story Eureka Tower. 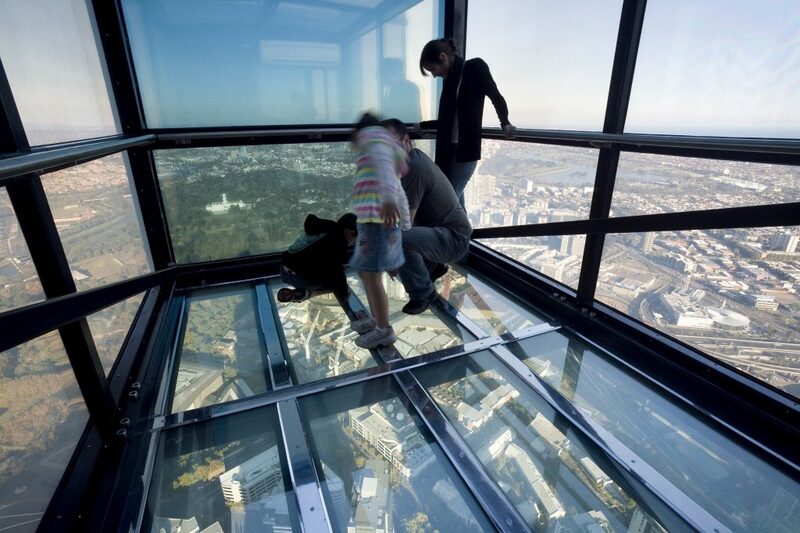 It is the highest public vantage point in a building in the Southern Hemisphere. 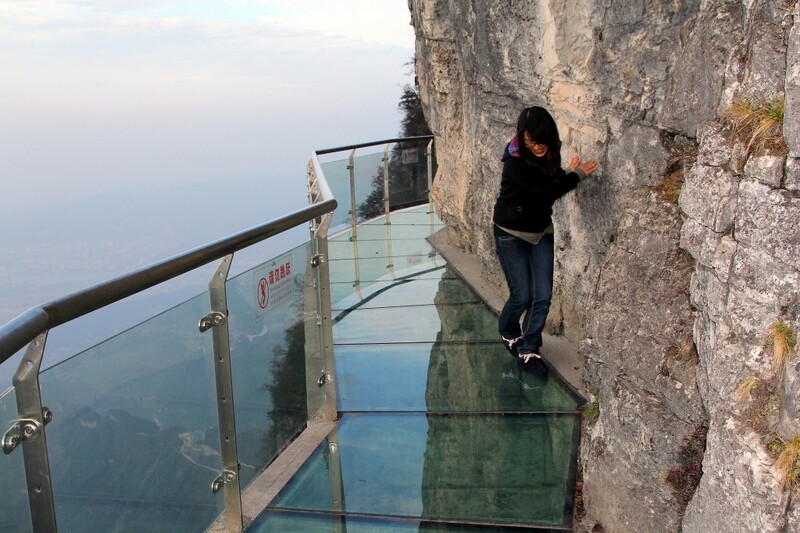 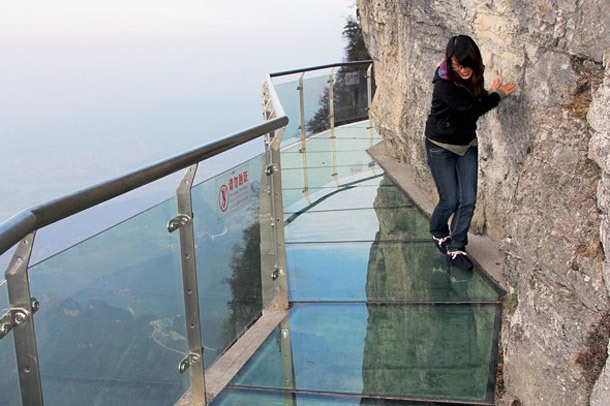 Walk around the face of China’s Tianmen Mountain and the only thing between you and a 4,000-foot drop is a three-foot wide, 2.5-inch thick piece of glass. 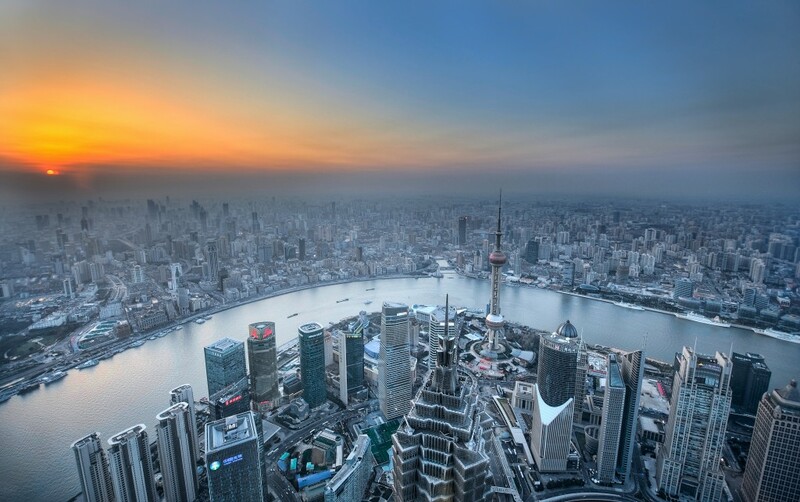 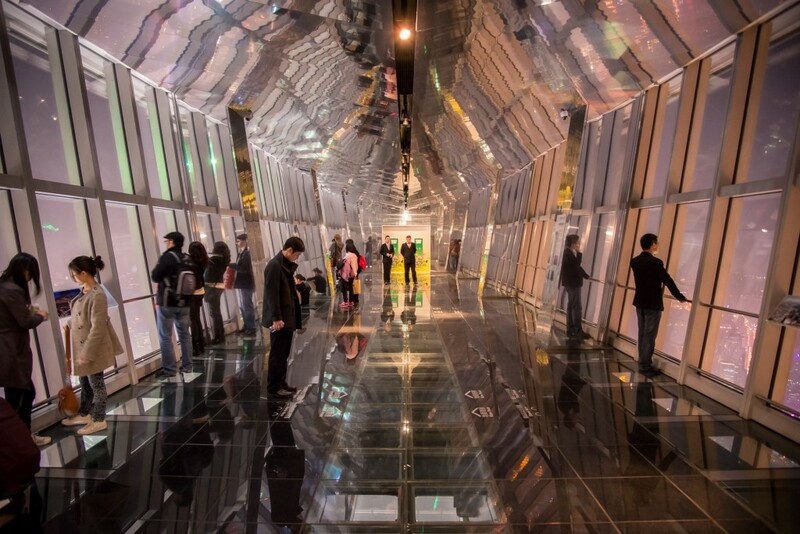 The observation deck at the Shanghai World Financial Center is located on the 100th floor of the 101-story tower, on the top portion of the structure’s trapezoid aperture — allowing visitors to gaze down on the neighboring Jin Mao Tower. 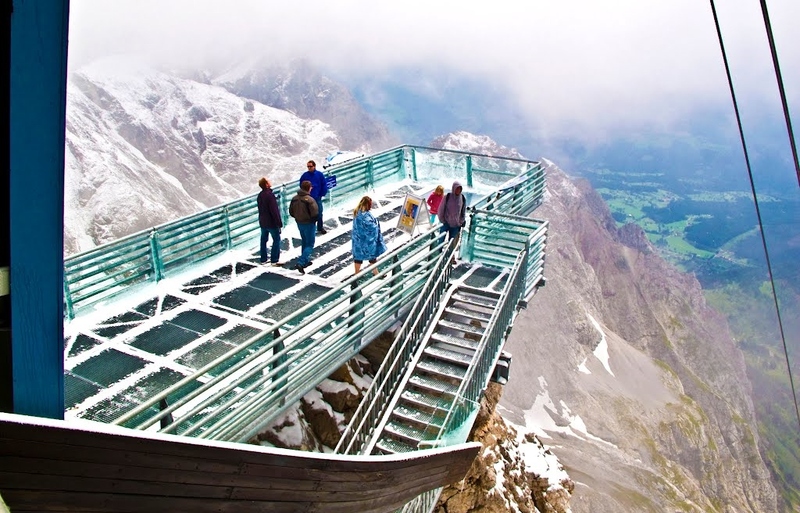 The Canadian Rockies newest tourist attraction is the Glacier Skywalk near the Columbia Icefield. 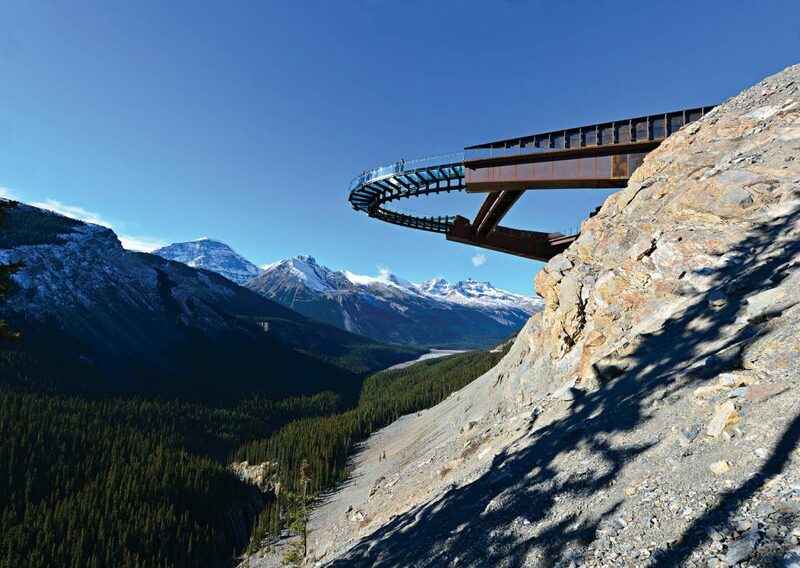 The U-shaped glass-viewing platform is suspended on a cliff overlooking the Sunwapta Valley in Jasper National Park. 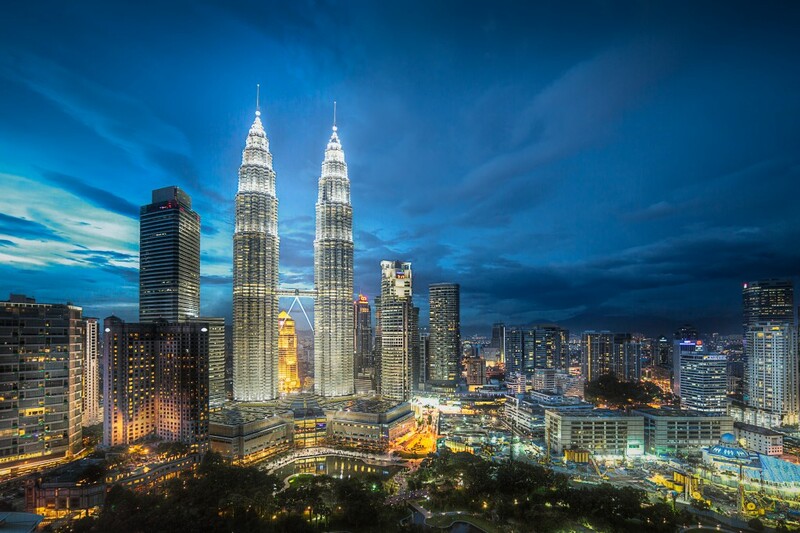 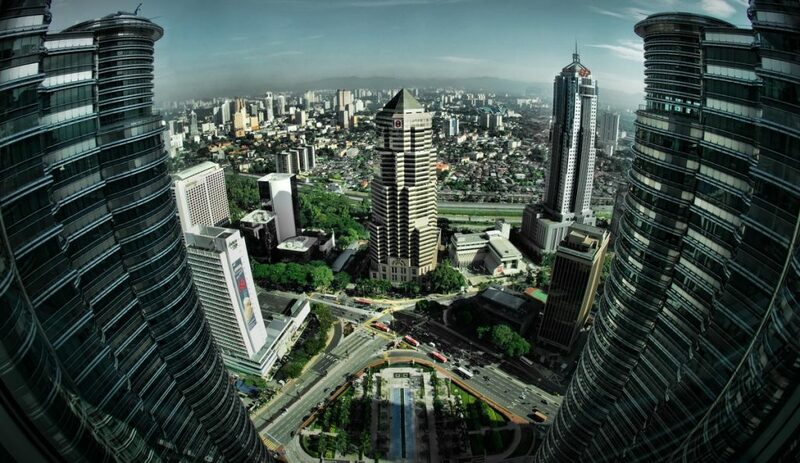 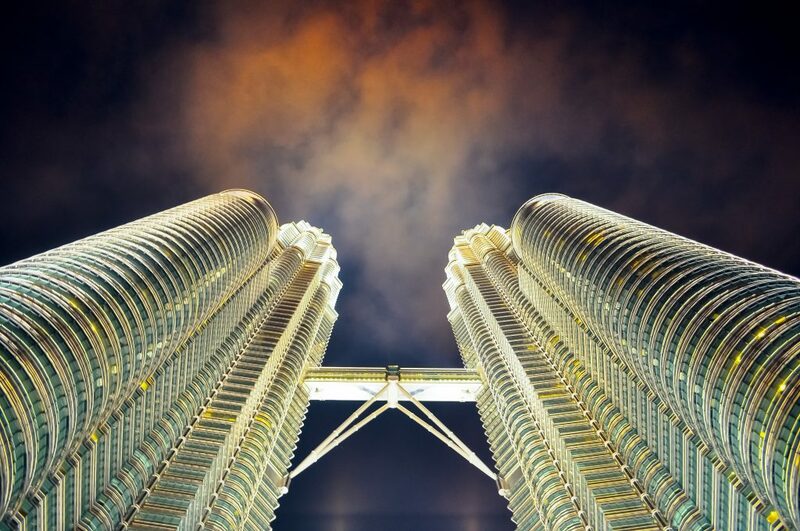 The bridge connecting the Petronas Twin Towers spans the 41st and 42nd floors, and is considered the highest two-story skybridge in the world. 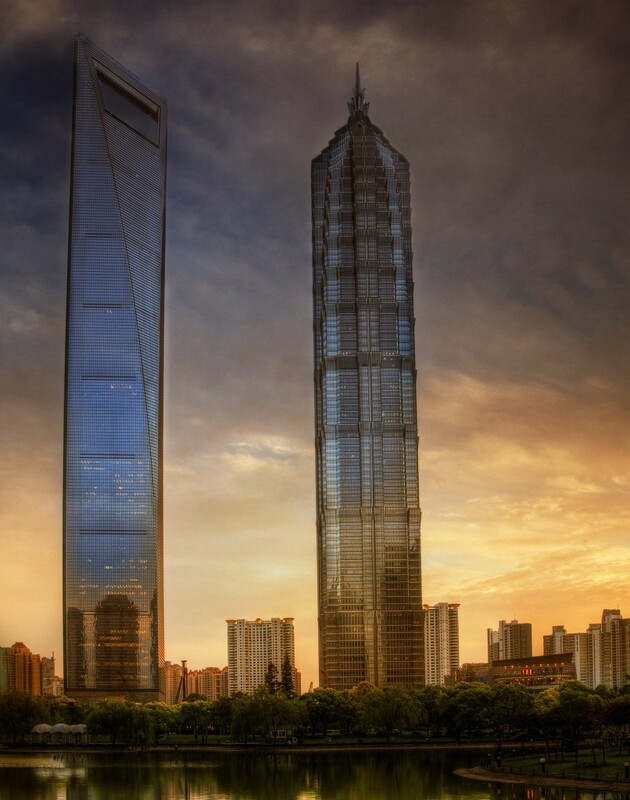 In fact, from 1998 to 2004 the 88-story skyscrapers themselves were the two tallest buildings in the world. 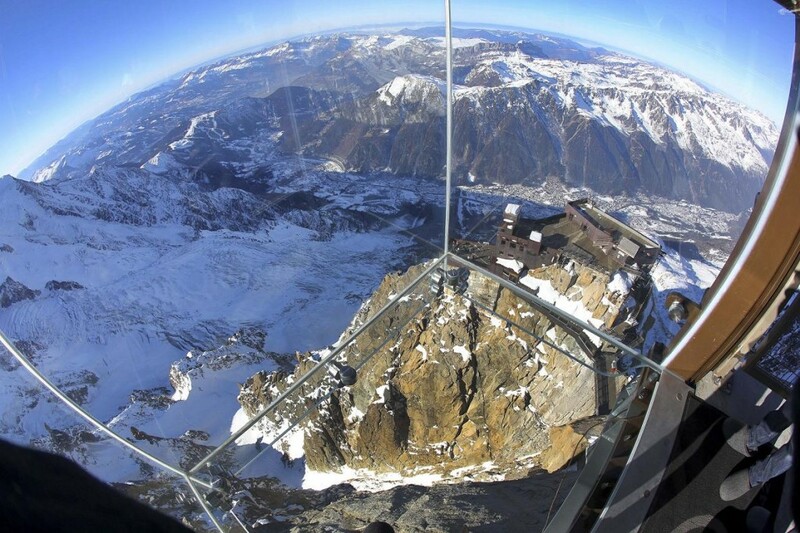 Because it’s perched on top of the 12,605-foot Aiguille du Midi — a mountain in the the French Alps — Pas dans le Vide (which in English translates to “Step into the Void”) is the highest viewing platform in the world. 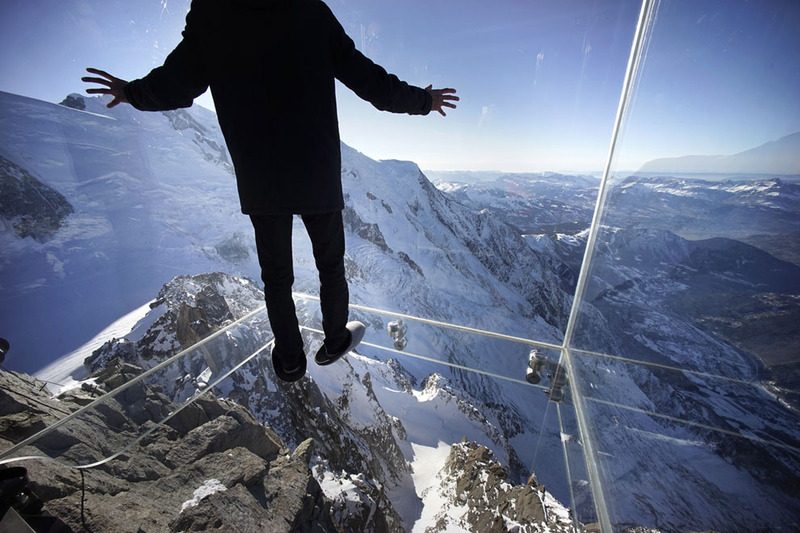 However, because the mountain is slopped and jagged, the “ground” directly beneath the glass box is 3,300 feet below.